As a longtime, albeit former, Washington County resident – born, raised, educated in its public schools and a one-time candidate for public office – I’ve learned a thing or two about how the good ol’ boy network operates. You’re either part of the good ol’ boy network – or you’re not. If you’re not part of GOB’s club, then you should get the hell out of their way or they’ll run right over you. If you threaten their power, you should watch out. So, who’s in the GOB club, and who’s out? For starters, County Administrator Rob Slocum, Commissioners Terry Baker, Wayne Keefer – and others (just take a guess) – are the grand poohbahs. There are certain members of the Republican Central Committee – Jerry DeWolf (Terry Baker’s right-hand lackey), namely – and other political insiders who managed to overcome the relatively challenging hazing portion of the initiation process without incident. What’s the GOB club up to these days? Since Greg Murray’s untimely departure from County government as Washington County’s longtime county administrator, the good ol’ boy network has been working in overdrive to damage Murray’s credibility with a phony scandal and sultry gossip. Greg Murray’s contract was expected to be extended for a year – yet after one of the South Korean trips, three of the five County Commissioners met in Clear Spring with the intention of firing Murray. Why, suddenly, after ten years of honorable service to the County, three Washington County commissioners decide to fire Greg Murray and renege on their promise to extend Murray’s contract? Just what the hell happened in South Korea? I can’t say for certain, but smartphone videos don’t lie. The Koreans certainly have no reason to lie. Photographs don’t lie. Certain County employees have no reason to lie. And Greg Murray doesn’t lie. When Terry Baker and other county commissioners intentionally target Murray with fake controversies that are meant to impugn his stellar reputation, just remember there is another side of the story waiting to be told – with pictures and video. You think for a second that what happens in Korea stays in Korea? If it’s out there, you can bet A Miner Detail has it. Now that Sarah Lankford-Sprecher has resigned her position as assistant county administrator after years of outstanding service to Washington County, do you think the County will do the right thing and release the sexual harassment report? After all, County taxpayers did foot the cost for the investigation. Sarah Lankford-Sprecher was building her career around serving Washington County. Eventually, maybe, Sarah could have become the county administrator. But when she reported a case of sexual harassment, and when the HR manager basically told Sarah to shut up and go away – because certain powerful men will destroy Sarah’s career – what message does this send to women in Washington County? Here are the facts you need to digest: Women in Washington County are treated like second-class citizens. If any woman dares to challenge the good ol’ boys network, those good ol’ boys will cover one another’s asses – they’ll lie and squirm – until the woman eventually gives up and goes away. This isn’t the last time you’ll read Sarah’s name in print. She isn’t going away, I can bet you. Do you really think a few extra HR training sessions will mitigate years of prolonged mistreatment of women? The problem isn’t the County’s lack of training. Rather, the problem is the people who have been in charge of County government for so long aren’t willing to change. A fundamental overhaul of County government is required – not some marginal BS policy adjustments. 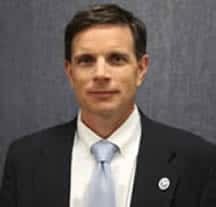 Do you think Rob Slocum and a few of the commissioners will authorize the release of the sexual harassment report that apparently points to Commissioner Jeff Cline as a leaker? Is County government so afraid of the truth? And do you think County government will stop harassing Jeff Cline for telling the truth? Whether Cline leaked information or not is irrelevant at this point. The underlying problem in Washington County is that a sitting county commissioner may have felt that his own County government’s duplicitous and corrupt behavior left him no other choice than leaking information to the press. It’s no wonder the good ol’ boys are targeting Cline; he is one of the good guys with a sense of service above self. If Cline did leak to the press, kudos to him for finally shedding light on the septic tank that is County government. Several of your employees can’t stand you, and those same employees leak to A Miner Detail almost every week. Some of the information leaked to A Miner Detail cannot be released for obvious reasons. Other information, however, will be published in due time. Much of the information that has been leaked to A Miner Detail would make any County taxpayer question why, after all these years, the good ol’ boy network still controls County government. 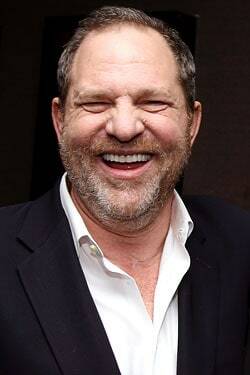 Hey, Harvey Weinstein – If you’re looking for a place to start a new company, I’m sure Washington County government would welcome you with open arms.